This post on Genius Things Every Family Bathroom Needs is sponsored by 2000 Flushes® Automatic Toilet Bowl Cleaner. Any opinions are 100% my own. The bathroom ranks #3 on the popularity list of rooms in our house. Just behind kitchen and living room. At any given moment, you will find one of the six of us in one of those three rooms. Those six people range in age from 4 to 38 and include both genders. I need a bathroom that can accommodate preschoolers and grown-ups. I already have three of these genius things every family bathroom needs and I’m adding #1 and #2 ASAP! It can be difficult to locate the toilet while half-awake in the middle of the night, for kids and sometimes even adults. A motion activated toilet night light that turns on and off when you enter/leave a dark bathroom is a wonderful thing. It can help little ones find the toilet in the middle of the night, and maybe even help boys keep their aim closer to the target. There are times I’ve wanted to install a kid sink in the bathroom, next to the regular sink. It would be so much easier for the kids to use. A faucet extender is the next best thing! They fit around most bathroom faucets and extend the stream of water so kids can reach it easier. Paired with a step stool, toddlers can wash their hands with ease. 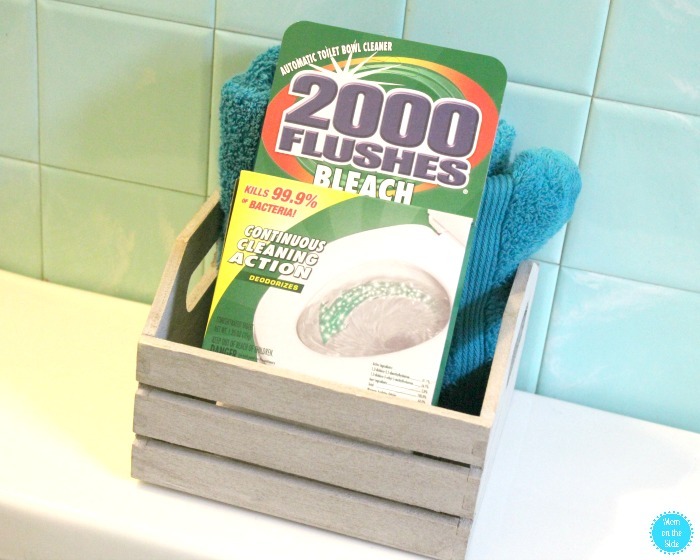 With several people using one bathroom, 2000 Flushes® Automatic Toilet Bowl Cleaner is a must! There are three boys in my house so I’m thankful that 2000 Flushes deodorizes and kills 99.9% of bacteria with every flush! The bathroom is on the weekly cleaning schedule but with a family of six, automatic toilet cleaning for up to 4 months with 2000 Flushes is a big help! A family bathroom means little kids and little kids means tub toys. For over three years now, we’ve been storing tub toys in the Whale Sea Scooper. I love that the tub toys can all be scooped right up out of the water. 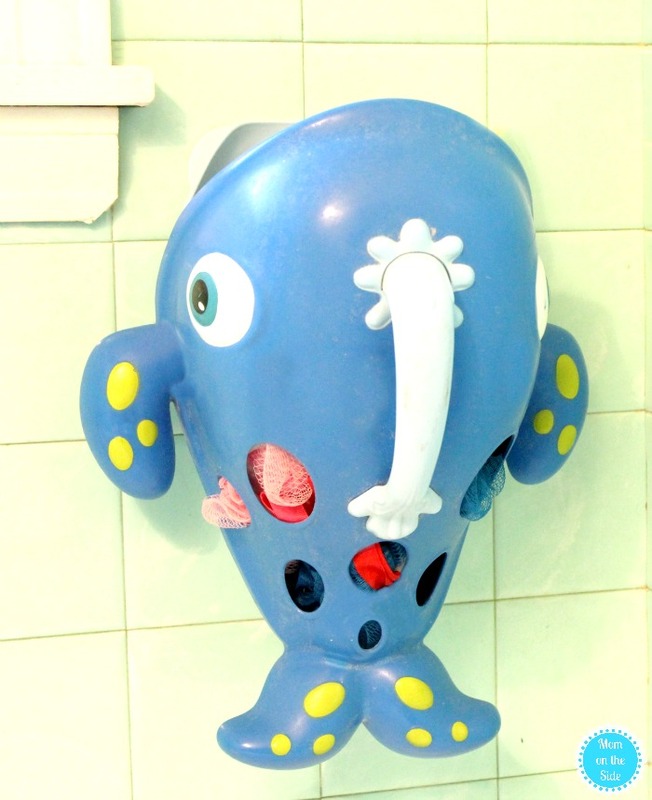 Built-in holes allow the water to drain and the toys to dry while it hangs on the wall. 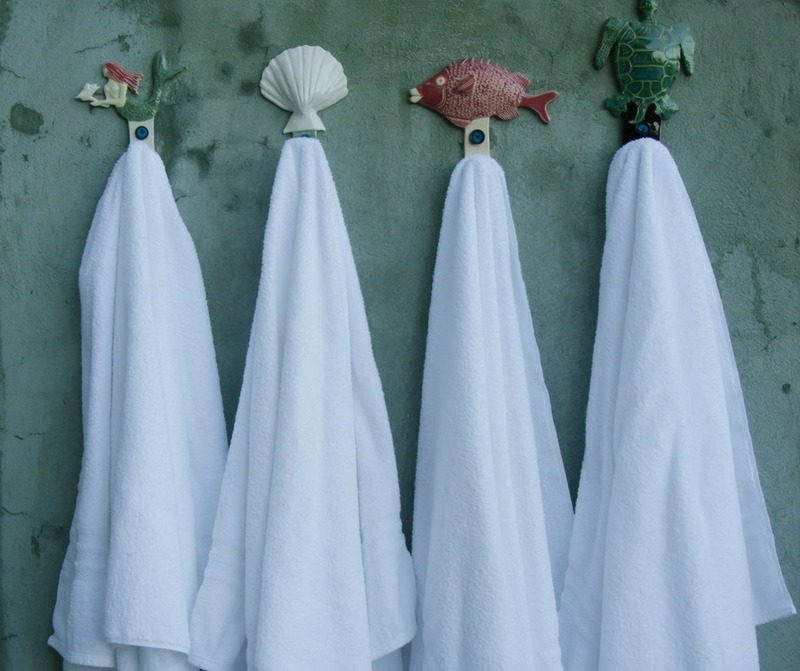 If you keep towels in your bathroom, swap hooks for a towel bar so you can hang more towels. A hanging wine rack also works great to store towels, especially in small bathrooms. Simply roll towels up and lay them across each wine bottle space. 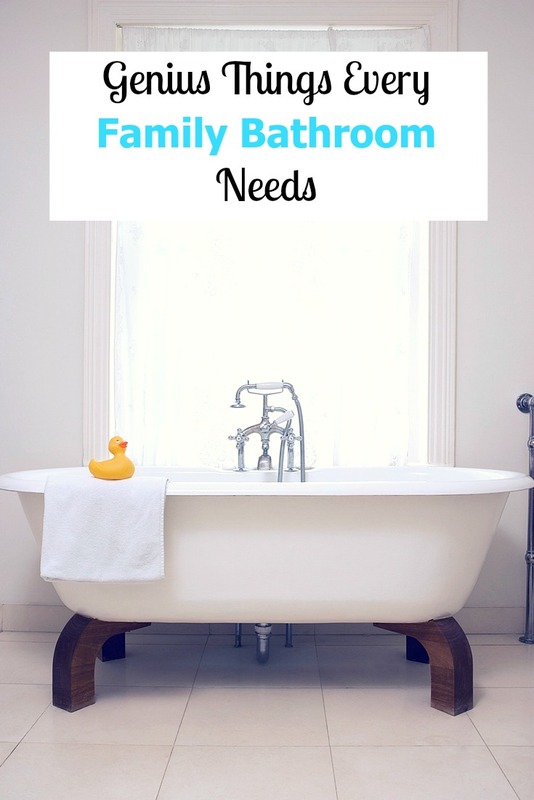 What are some of your family bathroom must haves?